Ideal for Baby to have fun! Made from a soft rubbery material, babies will have fun handling, throwing, rolling, crawling to the ball, and even seeing it bouncing. Easy to grasp, even for the smallest hands! 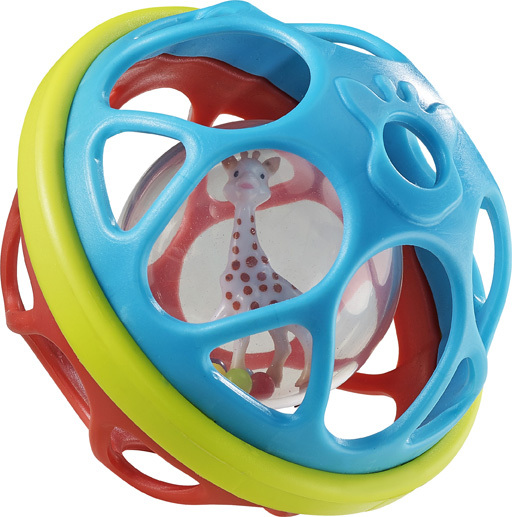 Contained within the soft outer lattice is Sophie the Giraffe. She whirls about the centre while coloured balls rattle around with her.